2014 November 10: Would make a great holiday gift for adults and kids! SiliGuy is a smart (and fun!) 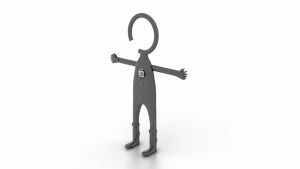 accessory for your smartphone! Would make a great holiday gift for adults and kids! Siliguy is a smart accessory for your smartphone! This is a flexible cell phone Universal Car mount but Siliguy can be used other places besides the car. This really is such a smart idea and is prefect for both adults and kids. I like that it is very flexible and it really seems to hug the phone. You can even use it to hang your phone while it is charging! I love using this in the kitchen for e- recipes. No more printing recipes for me! I did try it on my bike’s handlebars and it did stay secure but not sure if I would use it too often that way. Over all, this really is a fun way to keep my cellphone secure. I love it because it also makes it easier to not lose your phone! I know many friends that misplace their phone so this would be very helpful! It would make a great holiday gift for both adults and kids and would be the perfect stocking stuffer! Sold by Innovation Design 101 car mount and fulfilled by Amazon.com. Good Earth Beauty for the Fall! Fall Giveaway Opportunity! I love pumpkin! I really do! It is one of my favorite Fall flavors and scents! So, I have to admit that I was pretty excited to hear that Good Earth Beauty had a Pumpkin Chai Shampoo and a Conditioner. 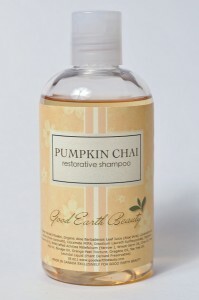 The Pumpkin Chai Restorative Natural Shampoo is a Good Earth Beauty Exclusive! It is a moisturizing, restorative shampoo and it smells soooooo good! I love how it leaves my hair so clean and shiny but it smells simply delicious! It really has a wonderful pumpkin spice smell! Retails for $14.99. My favorite is the Pumpkin Chai Silky Hair Conditioner because it is a moisturizing conditioner and it smells as good as the shampoo! But, this one not only left my hair soft but also tangle-free! Retails for $15.00. Both products really are a Must-Have for Fall! But wait! We have also teamed up for a Fall Holiday Giveaway! 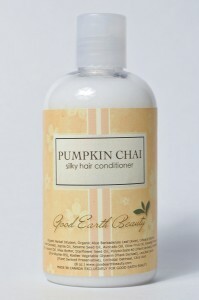 One winner will win both the Pumpkin Chai Shampoo and the Conditioner! Leave a comment below telling us your favorite things about Fall! Hurry! Deadline to enter is November 17th, 2014 at noon PST. One winner will randomly be selected from all entries. Self Disclosure: I received free products to facilitate this feature and any opinions expressed are my own. Photo Credit: Good Earth Beauty. Bahlsen, Germany’s leading cookie brand and the largest family-owned cookie producer in the world, is celebrating its 125th anniversary this year! Those in search of a “better cookie” experience have long turned to Bahlsen for the delectable tastes and fine textures that only come from the best ingredients and cookie craftsmanship. No GMO ingredients. No preservatives. No artificial colors. Why reserve that better cookie experience just for special occasions? 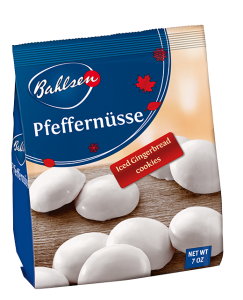 With so many varieties to choose from, Bahlsen has your new favorite cookie. Bahlsen: Everyday Indulgence. I have to admit, that I have never tried these delicious cookies! I received samples and I just love them! 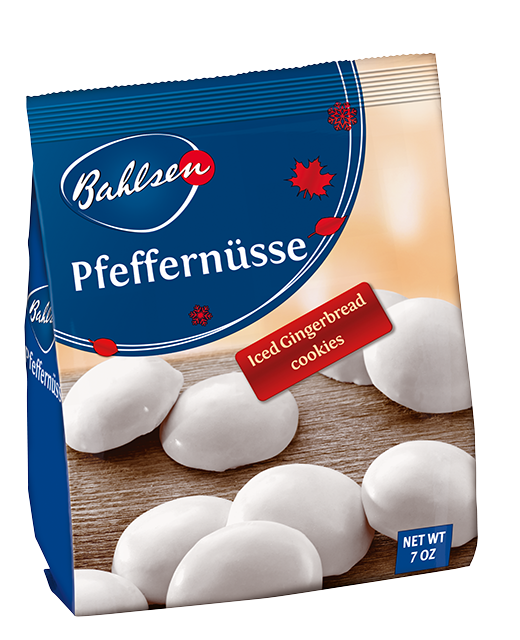 My favorite is the Pfeffernuse: Iced Gingerbread Cookies. They are just so soft and yummy! These German holiday spice cookies are so popular they have their own holiday (on December 23)! I can see why! The bag didn’t last long in my house! My son and I loved them! They are available in stores only around the winter holiday! 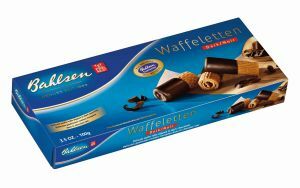 The Waffelton cookies are also really delicious! Crispy and sweet! 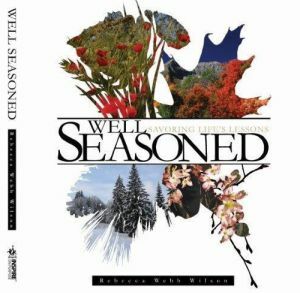 Great with a cup of tea, coffee or hot cocoa this holiday season! These are available year-round at grocery stores and come in Milk Chocolate and dark chocolate. Self Disclosure: I received free samples to facilitate this feature. Photo Credit: Bahlsen. FOG ISLAND MOUNTAINS by Michelle Bailat-Jones Review on our website January 2015! Stay tuned! This month, Audible Studios released the audiobook version of FOG ISLAND MOUNTAINS by Michelle Bailat-Jones. Huddled beneath the volcanoes of the Kirishima mountain range in southern Japan—also called the Fog Island Mountains—the inhabitants of small town Komachi are waiting for the biggest of the summer’s typhoons. South African expatriate Alec Chester has lived in Komachi for nearly forty years. Alec considers himself an ordinary man, with common troubles and mundane achievements—until his doctor gives him a terminal cancer diagnosis and his wife, Kanae, disappears into the gathering storm. Kanae flees from the terrifying reality of Alec’s diagnosis, even going so far as to tell a childhood friend that she is already a widow. Her willful avoidance of the truth leads her to commit a grave infidelity, and only when Alec is suspected of checking himself out of the hospital to commit a quiet suicide does Kanae come home to face what it will mean to lose her husband. Don’t forget to look for the review in January! Self Disclosure: No compensation was received. I will be receiving a free download to review the book. 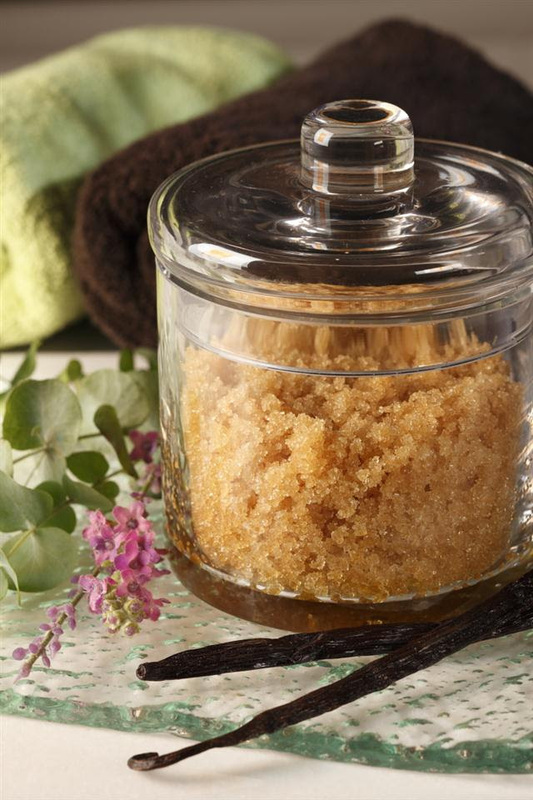 Spread Sweet Holiday Cheer with Nielsen-Massey Vanillas DIY Holiday gifts! It’s holiday time again and I love DIY holiday gifts! Whether looking to let a teacher know how much she is appreciated, brighten the mail-carrier’s day, or surprise a coworker, DIY gifts are the perfect way to show how much you care. I received a sample of the Nielsen-Massey Madagascar Bourbon Pure Vanilla Sugar and tired this recipe. Loved it! It will make a wonderful holiday gift! We also tried our sample in baking and used it with cookies and pancakes. This was a big hot with my family! We have teamed up for a Holiday Giveaway! One winner will win the Nielsen-Massey Madagascar Bournon Pure Vanilla Sugar. To enter, leave a comment below telling us which recipe above you would be most interested in trying! Deadline to enter is November 17, 2014 at noon PST. One winner will randomly be selected from all entries! Self Disclosure: I received a free sample to facilitate this review/giveaway. Photo Credit: Nielsen-Massey Vanillas. When Rebecca Webb Wilson’s parents gave their young daughter a Kodak Brownie Hawkeye years ago, they could not have known where it would lead her. While taking photographs of hawks along the expressway in her hometown of Memphis opened the gates to her passion for wildlife photography, her first job as a PanAm flight attendant fueled her wanderlust. I received a copy of this book and just love the beautiful photos! I couldn’t even pick my favorite season (which is Summer!) because each season had such beautiful words and photos. I also love the insightful questions. This would make a beautiful gift this Holiday season! Named one of Memphis Woman Magazine’s ’50 Women Who Make a Difference,’ she also received the Legends Award from the Women’s Foundation for a Greater Memphis in 2010. She lives in Memphis with her husband and they share their time between two sons, two daughters, and nine grandchildren. Well…it’s that time of the year again! The holidays are here! SoCal City Kids love PBS Kids and are especially big fans of Curious George! ‘Tis the season for family favorites on PBS KIDS! 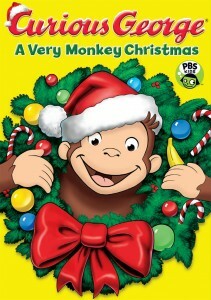 On November 26, PBS KIDS will kick off the holidays with the return of CURIOUS GEORGE: A Very Monkey Christmas. 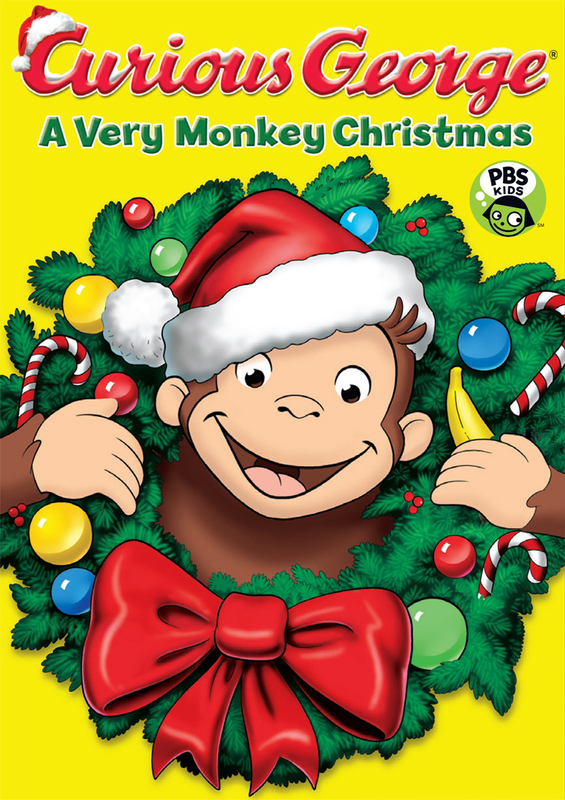 In this fun-filled one-hour special, families can join their favorite monkey and the Man with the Yellow Hat as they count down the days until Christmas. 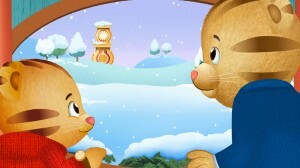 The holiday fun continues throughout December with new episodes from other PBS KIDS series. Viewers will help Otto and Olive solve a reindeer case in an all-new episode of ODD SQUAD, celebrate Christmas and Hanukkah with Peg and Cat in a one-hour PEG + CAT + HOLIDAYS special, spread cheer with new engine friends Gator and Reg on THOMAS & FRIENDS and go on a winter adventure featuring The Nutcracker Ballet with DANIEL TIGER’S NEIGHBORHOOD. Don’t miss these fun family shows on PBS Kids this holiday season!! Self Disclosure: No compensation was received to post. Photo Credit: PBS Kids. Taste Nirvana – a Must-Have for the Fall! Taste Nirvana (www.tastenirvana.com) produces all-natural, Thailand originated and preservative free, coconut waters. These offer the most authentic taste you can get without actually drinking from the coconut. Thus, more and more people turn to coconut water as it is known to replenish the body of lost nutrients and electrolytes. The following are available: Real Coconut Water, Real Coconut Pulp, Real Coco Aloe and Real Coconut Water with Thai Chili Extract (our latest product) and they are all gluten, GMO, pesticides, herbicides, chemicals, and fertilizers free. I received samples to try out and was impressed with the taste! My favorite was the Real Coconut Water and I will be on the look-out for the Thai Chili Extract! A real Must-Have for a healthier drink this cold and flu season! Taste Nirvana, Inc. was founded in 2003 with the mission to provide the best tasting beverages using Thailand’s finest resources. The latest all-natural incarnation of a multi-generational Thai family business – Taste Nirvana produces delicious ready-to-drink Thai coffee, Thai teas, coconut water & functional health drinks. Taste Nirvana’s coconut waters are preservative-free, not from concentrate and contain no artificial flavoring and are are second-best only to Mother Nature. Self Disclosure: I received free samples to facilitate this feature. Photo Credit: Taste Nirvana.